You are invited to Mingle with the Spirits! Centuries ago, Halloween was a time of celebration to honor those who have passed on before us. Please join us in a tribute to the Spirits of Farnam Manor! The Farnam Manor was built in 1834 by Everett Farnam, an early pioneer to this area. Everett said before he died that he would come back as a raven to soar over his property and listen to what people said about him. His little daughter, Emily, drowned in the cystern at the manor back in 1858 when she was just 7 years old. According to legend, her spirit still remains. During the roaring '20's the Manor was a very elegant club for aristocrats. Many have encountered the lady in white from this era. From 1948 to 1972, the manor was home to the Danish Smorgasbord restuarant. Throughout it's history, Farnam Manor has been a place where people gather to have a good time. Your experience begins in the carriage house built in 1840. 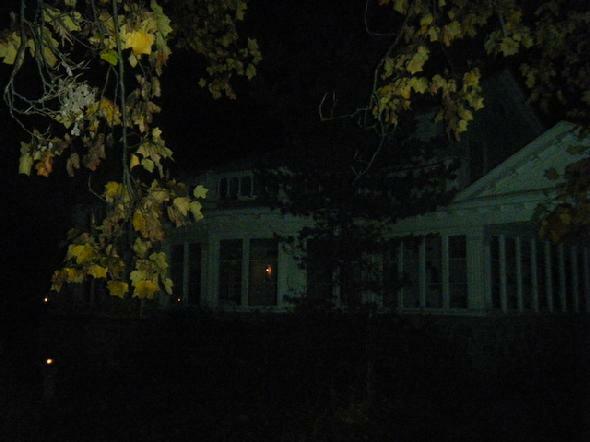 Spiritual activity has been reported in the carriage house and in and around Farnam Manor. Sit by the bonfire out back and enjoy the crisp autumn air and starlit skies. 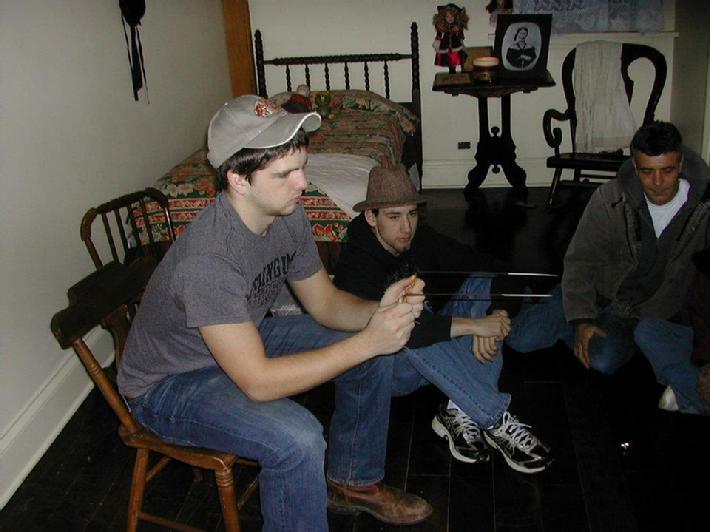 Then, groups will tour the Farnam Manor by lantern light. 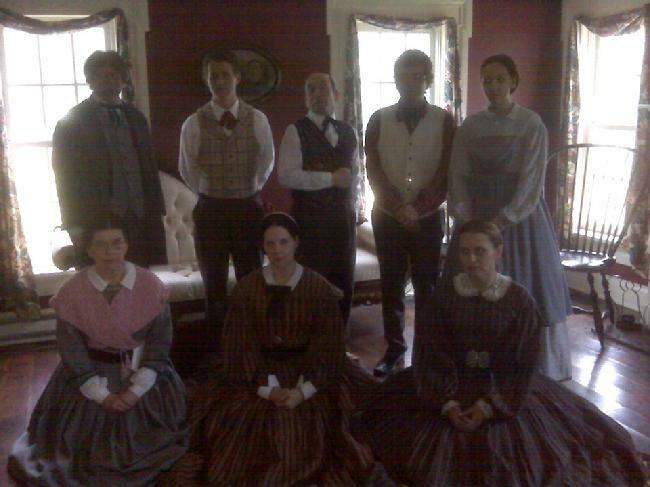 Witness the history and mystery as the historical interpretors of Ohio Living History Society portray people from the Manor's past. You never know what will happen. Great Halloween activity for all ages. No fake blood and gore. Expect the unexpected when you least expect it! Objects move, noises, cold breezes...the Spirits are sure to welcome you! Witness the positive energy! Could this be proof that our soul lives on after the death of our physical body? Tours are about 45 minutes in duration starting at the top of the hour. Gates open at 7pm. Please arrive no later than 10pm to take the tour. The Trail to the Unknown is a maze through the wooded land of the Farnam Estate that was once known as "Eden's Garden" Put on your hiking boots and prepare for adventure! Which way to go? Just like the path of life, you will find your way if you follow the Light. But you never know what will happen along the way! Bring your cameras and gadgets! The historical interpreters of Ohio Living History Society recreate the past. Come experience a shift in time! Albert Einstein had the theory that energy never dies, it just changes form. 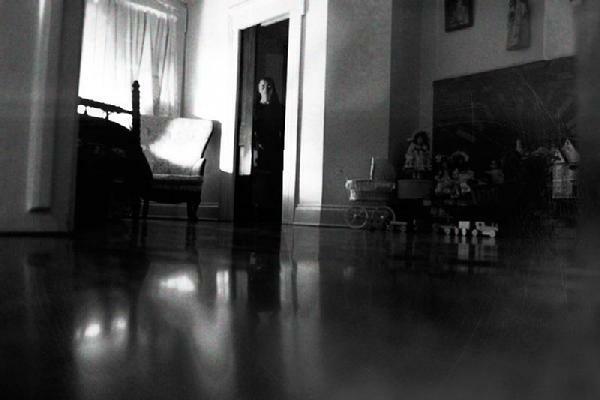 Guests commonly capture orbs (balls of energy) and shadows in their photos.